Daniel Isom Sultan, born December 9, 1885 at Oxford, Mississippi, graduated from the U.S. Military Academy in 1907 and was commissioned Second Lieutenant in the Corps of Engineers. Prior to World War I, he served in the Philippine Islands and was in charge of the construction of fortifications on Corregidor. In 1918 he was assigned to the War Department General Staff in France. From 1929 to 1931, he commanded troops during a survey of the proposed Inter-Ocean Canal route through Nicaragua; and, from 1934 to 1938, he presided as a Commissioner of the District of Columbia. Promoted to Brigadier General July 8, 1939, he was in command of the 38th Infantry Division at the beginning of World War II. Following his command of the VIII Corps, he was ordered to the China-Burma-India Theater in 1943 to act as Deputy Commander under General Joseph Stilwell. He was promoted to Lieutenant General September 2, 1944 and on October 24 became Commander of the India-Burma Theater. Returning to the United States June 26, 1945, he was appointed Inspector General of the Army on July 14. 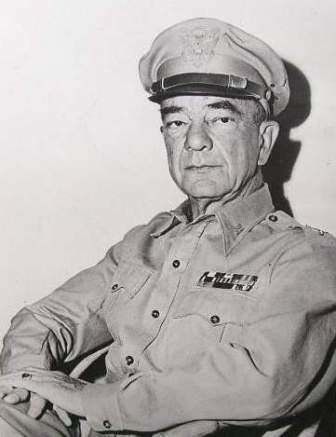 General Sultan died January 14, 1947 at Washington, D.C., while on active duty.